Everyday waiting for the bus or the S-Bahn I witness one of the most intriguing phenomena: the careless-flipping-away-of-cigarette-buds. 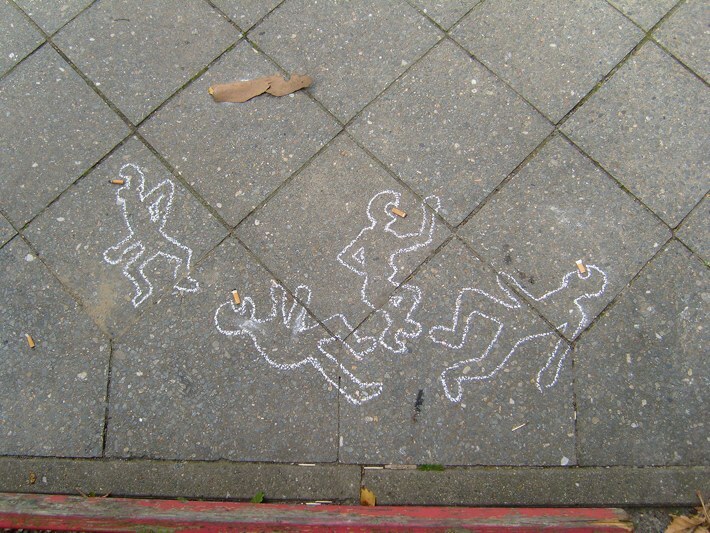 In most smokers minds’ cigarette buds do not seem to be classified as litter. No, I do not hate smokers, I just do not understand this part of their actions (and yes, I do feel a bit offended by it). Has it ever occurred to you that cigarette buds are litter and belong into a bin or ashtray and not on the public floor? It is not as if the person looks around for a rubbish bin, then cannot find one or thinks it’s too far to walk to, and then decides to rather drop it on the floor. It seems to be a totally unconscious act. Maybe somebody can explain this to me? It is a mystery to me. I assume, you do not just drop the buds on your floor at home – or do you? I salute the few smokers who carry a portable ashtray and use it to store their ash and buds or those who are conscious enough to make use of public rubbish bins. 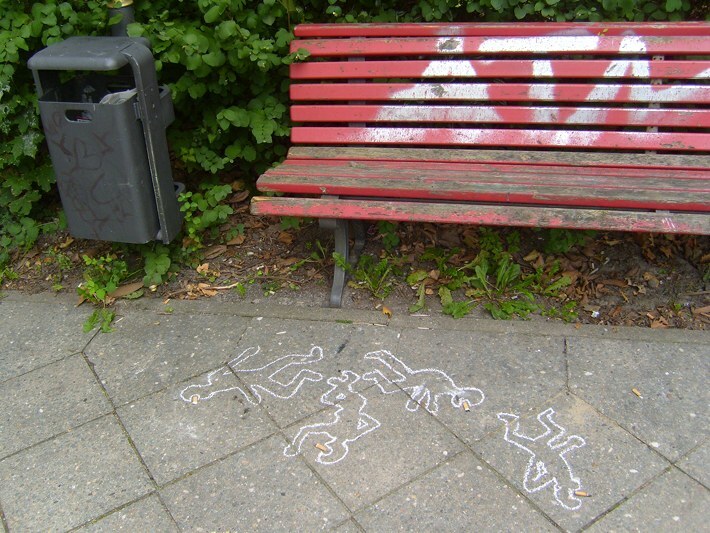 This entry was posted in Drawing, Installations, Land Art, Other art related things I am doing, Thoughts and tagged art, Berlin, cigarettes, creativity, imke rust, intervention, smokers, street art on September 12, 2011 by Imke Rust. Yes, it was fun, and it was noticed (somebody rearranged the buds a short while after i made the drawings). 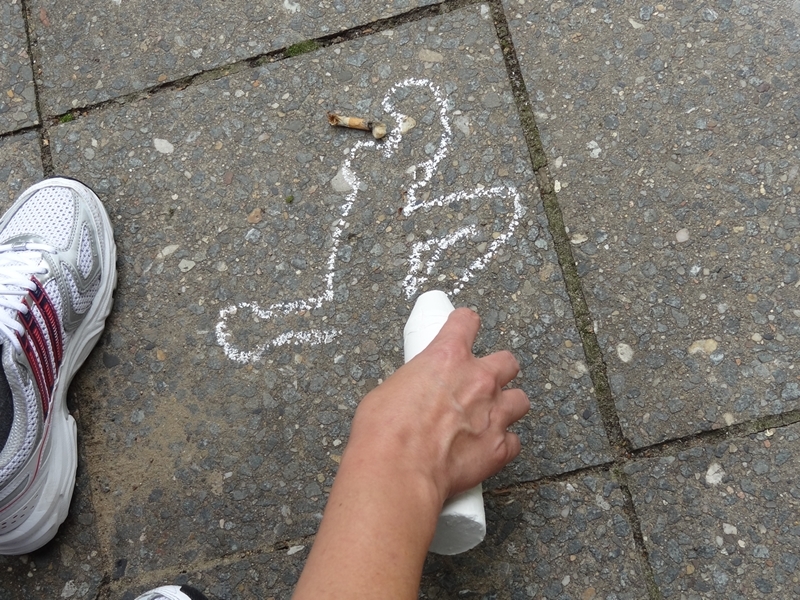 i walked around with the chalk for some time to do this 😉 Guess it is almost as much entertainment for grown-up kids like me, as for small ones – but i am sure they are more free in using it and playing than we are.